Mary A. 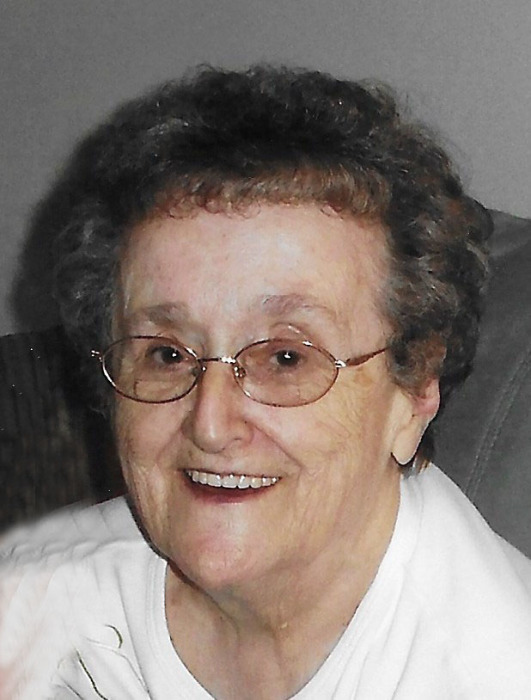 (Chouinard) Ferreira, 89, of St. Elizabeth Manor, Bristol, RI, formerly of Fall River, wife of the late Edward C. Ferreira, passed away Tuesday, April 2, 2019. She was employed by Schnierson Manufacturing and was a member of ILGWU-UNITE and the former St. Anne Senior Citizens Club. She leaves two children, Natalie Letendre and her husband Peter of Portsmouth and David Ferreira and his wife Nancy of Swansea; five grandchildren, Peter Letendre and his wife Nicole, Melissa Chester-Letendre and her wife Jessica, Jill Kenney and her husband Nicholas, Jessica Goulet and her husband Cory and Frank Ferreira; nine great-grandchildren; a brother, Joseph Harvey Chouinard of Fall River and nieces and nephews. She was the sister of the late Roger and Ronald Paul Chouinard, Jeannette Meade and Marie Lorraine Guinen and the daughter of the late Jean Baptiste and Adrienne (Michaud) Chouinard. A visitation will be held at the Auclair Funeral Home, 690 So. Main St., Fall River, Saturday, April 6, from 8:30 AM to 10:00 AM with a funeral service at 10:00 AM. Interment, Notre Dame Cemetery. Donations in Mrs. Ferreira's memory may be made to St. Elizabeth Manor, One Dawn Hill Rd. Bristol, RI 02809.